Rent Mac Mini, for office tasks for example? Light or heavy applications? None of this is a problem for the Mac Mini. The Mac mini is a fast desktop computer. As a result, all your daily activities are done quickly. If you opt for a Mac Mini rental you have everything you're looking for in a Mac in a square body of just 19.7 centimetres. We have different models available for rental. The standard model with a i5 4GB processor and 500GB storage is fast enough for most applications. In addition, we have the successor available which is faster and has more storage. 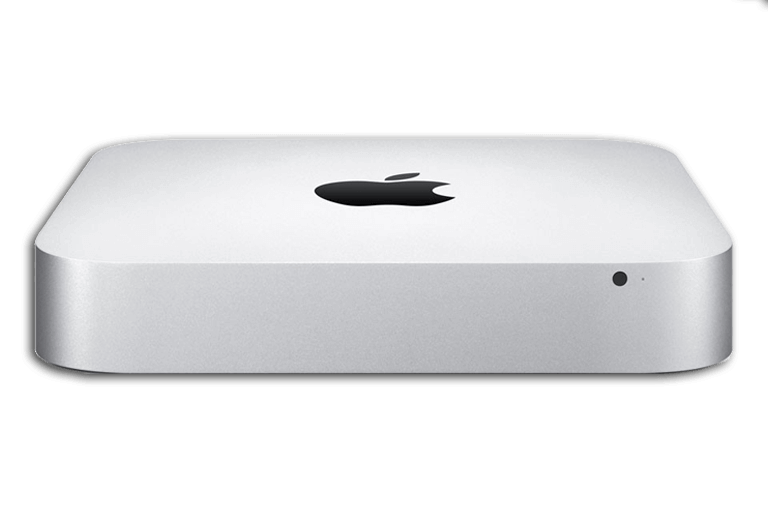 For the really demanding applications you can go for the Mac Mini with SSD rental. Any faster is simply not available for rent. We have the recent Mac Mini models and these have been well tested by our team. That is why you are assured of new, functioning devices. Want to rent a Mac Mini? Connect a (personal) display, keyboard and mouse to the Mac Mini rental and you are ready for work. Each new Mac Mini comes with Photos, iMovie, GarageBand, Pages, Numbers and Keynote. This allows you to be creative and productive immediately. There are also handy apps available to email, use the internet, text or use FaceTime. At Flex IT Rent you are always guaranteed a rental at the lowest price. You can always extend your rental period for your Mac Minis or decide to purchase them instead. Choose from our large stock of Mac Mini’s.